Since moving into our beautiful new home and having a lovely garden, we’ve been seriously considering getting a BBQ. We’ve never owned one before as a family because the children haven’t been keen on the charcoal taste that comes as standard with most BBQ’s, so we could only foresee hours of cooking followed by children refusing to eat anything from it! This was really frustrating us, so when we were asked if we’d like to review the Campingaz Party Grill, we were really interested to see what the difference would be. It was such great timing as we were off to Camp Bestival for the weekend, so planned to take it with us to complete our camping experience! The first thing we noticed when we received the grill, was how compact it was! When I’d mentioned to Paul that we would be taking it on our camping trip with us, he was really concerned about how much space it would take up. But we really quickly realised that it all fitted so nicely into the bag that comes with the grill and it was incredibly portable. Problem one solved! Our second concern was how much extra we might need to take with us to cook on it. We’d envisioned having to take a frying pan, saucepans and goodness knows what else – meaning extra to carry and extra to wash up! 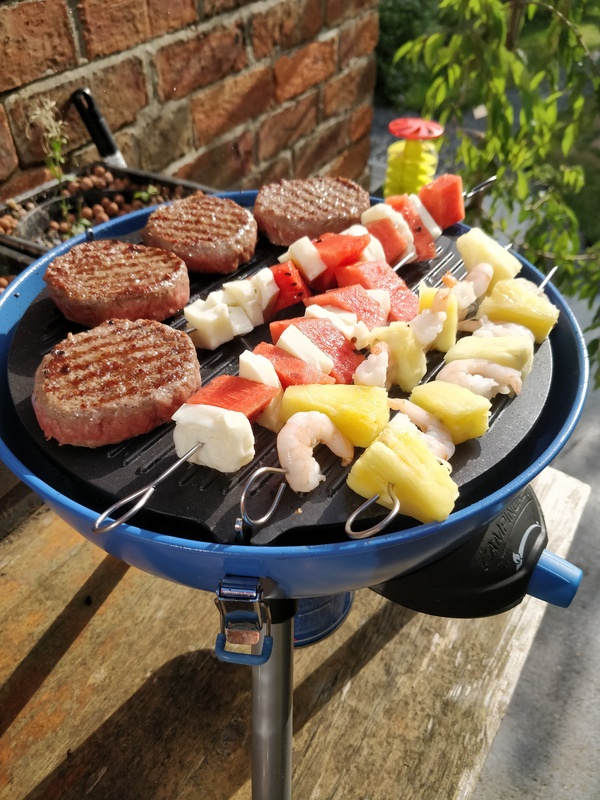 But on further inspection we realised that the Campingaz Party Grill actually comes with a surprising number of extras, all neatly packaged together! There is a griddle, a grill and the lid turns into a wok! 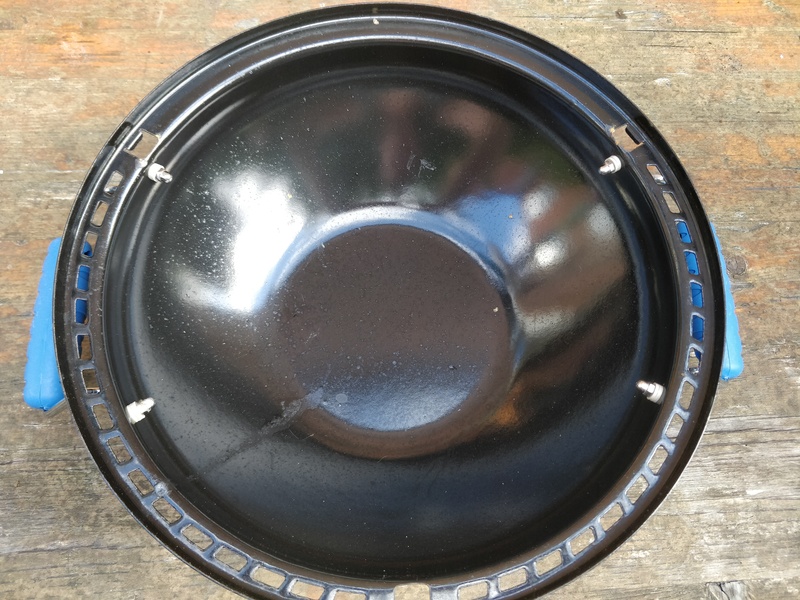 Not only that but if you remove the griddle and grill then there is a mini hob to pop a saucepan onto – so the only thing we actually needed to take was the saucepan! Our third concern was making sure that we could find the gas bottle we needed. 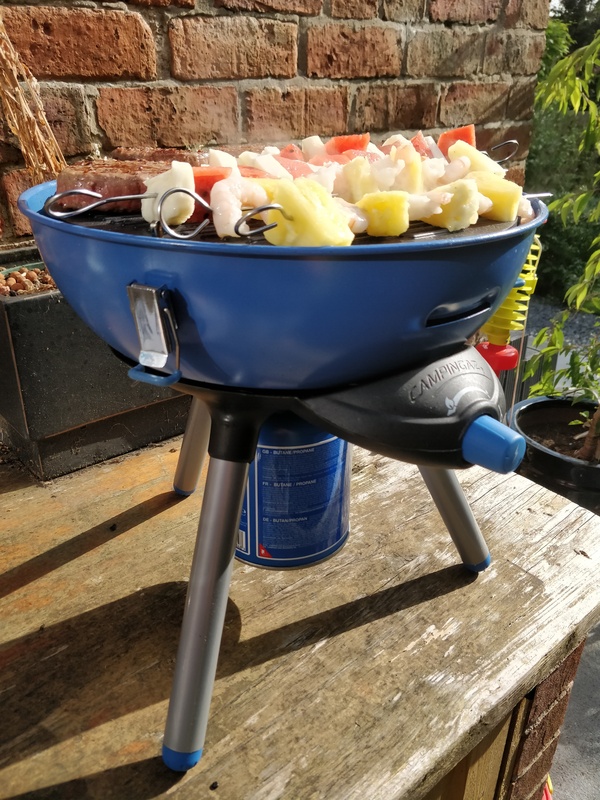 Originally we thought that we would need matches, but when we purchased the gas bottle from our local Range shop and set up the grill, we realised there was an inbuilt ignition – so another problem solved and one less thing to have to take (and have to find when we wanted to eat!). But really the best thing about the Campingaz Party Grill for us is that the food cooks beautifully, chars in a really lovely tasty way and doesn’t leave the charcoal taste behind that traditional BBQ’s do. 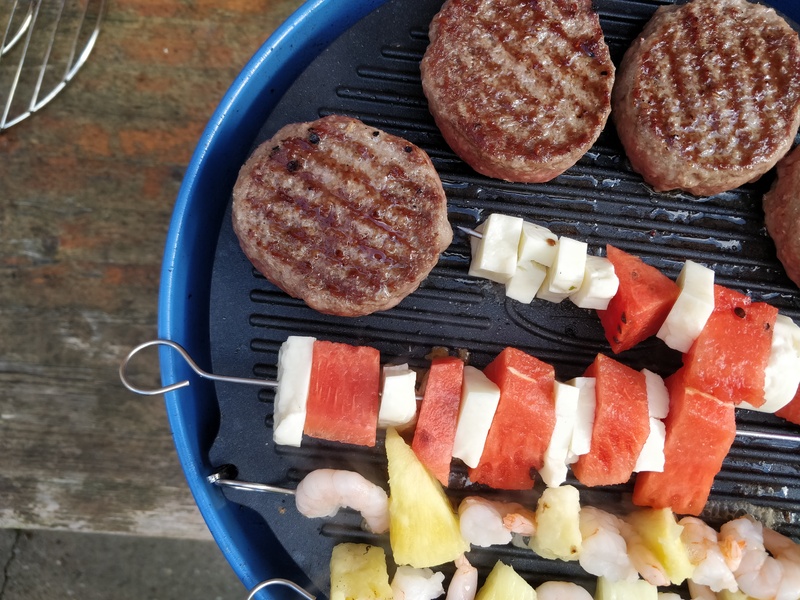 We were able to cook beefburgers and kebabs on the grill together and they all came off tasting absolutely delicious – so much so that the children requested we cook outside every night. Which, considering the beautiful weather we are having, we very quickly agreed to! What could be better than a warm summer evening and the smell of beefburgers cooking on the grill outside? Absolutely nothing in our opinion! 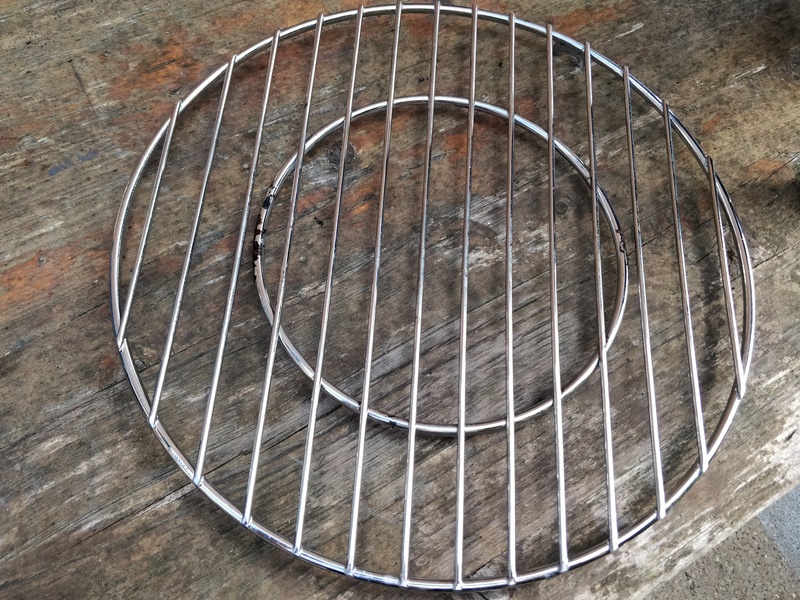 Disclosure: We were sent the Campingaz Party Grill in return for an honest review. All photographs and opinions are our own.